Tackling in football is changing in large part as a response to the long-overdue increase in concern about concussions, and as those changes filter through the game, American football’s parent, Rugby Football, is stepping into the spotlight. Recently, Seattle Seahawks Head Coach Pete Carroll’s tackling video detailing how the team learns to tackle highlights this new detente of football and rugby. The Super Bowl champion coach uses examples of rugby tackling to show how the head can be taken out of the point of contact, and in doing so, shows how football can learn from other sports, and how safety and success aren’t mutually exclusive. 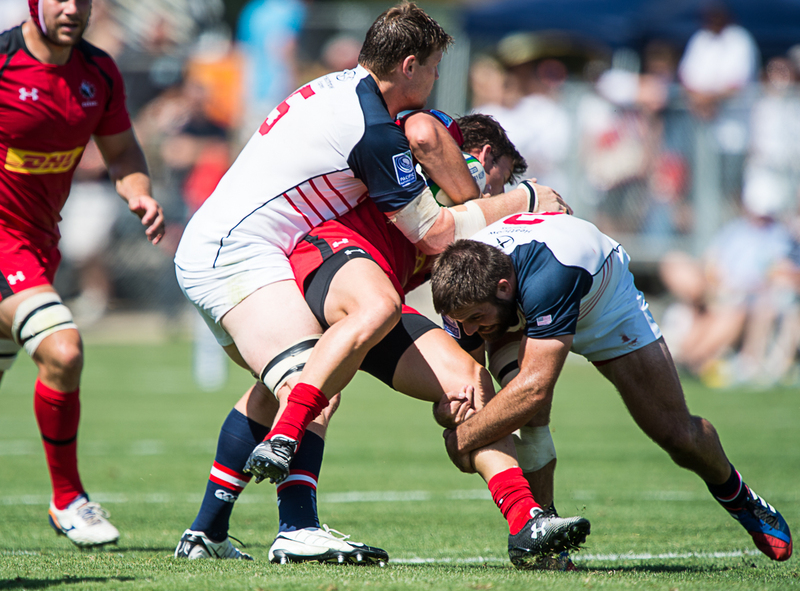 Many American rugby players played football in high school and college, and most can remember being told by their coaches to tackle by sticking a helmet in an opponent’s chest in order to make a tackle. That technique might stop a ballcarrier cold, but it asks your head and your neck to bear the brunt of a punishing collision. Helmet or no helmet, you’re asking for a concussion, and maybe a neck injury to boot. Later, those same athletes took up rugby and found rugby coaches taught them a completely different approach - use your shoulders, tackle lower on the body, wrap your arms around the ballcarrier to stop him from moving, and drive him to the ground (with you on top so he doesn’t land on your head). When you don’t have a helmet or hard pads, you’re forced into a safer way of contact, a method that is often more effective. Today we now know that the football helmet provided little guard against concussion. Concussions can be caused by a violent change in head movement - you are running really fast, then you slam your head into someone coming the other way; your brain keeps moving and slams against the inside of your skull - and a helmet doesn’t so much to mitigate that. But for decades the thought was that helmets, which do reduce the pain of collision, provided safety. If you accepted that premise, then you’d have to assume that rugby, which uses only light (and, for that matter, optional) padding is more dangerous. Battling against the reputation of rugby being a “brutal” sport, rugby coaches in America have worked hard to emphasize safety in contact. It’s not hard to do that because rugby rules have always made tackling around the head and neck illegal, and making a hit without wrapping up is also a penalty. Those two crucial rules have helped make rugby a safer sport, and rugby coaches have years of experience operating within those rules. And just as Carroll’s video shows a variety of tackle types, so rugby tacklers change their approach in given situations. You can drive a player backwards, track him from the side, take him out at the ankles, or just stop him cold - all within the safer guidelines of rugby tackling laws. And that’s why rugby can help football. If football coaches open up their practices to knowledgeable rugby coaches, they will find navigating the new way to tackle in football a little easier. You bring in a specialist for every aspect of play, right? So why not bring in an expert on shoulder-first, wrap tackling? Some already are. Carroll showed the world how he and his staff took pointers from rugby. Down the street at the University of Washington, new UW head football coach Chris Peterson met with former USA player and new Huskies rugby coach Kevin Swiryn to talk about tackling. Peterson, one of the forward thinkers in college football, wasn’t satisfied with one meeting, and invited Swiryn to observe the UW practice to make sure the changes were being implemented correctly … how times have changed in the relationship between college football and college rugby coaches. Peterson did the same at Boise State, asking local club coach Mike Saunders (who had been captain of the USA National Team at one point) to give his staff a tackling tutorial. The Saunders story illustrates another aspect of a potential football-rugby marriage - there are rugby people everywhere. Who would have thought that a former national team captain was living and working in Boise, Idaho? Look around and from Denver to Atlanta, to Danbury Conn. to Jonesboro, Ark. 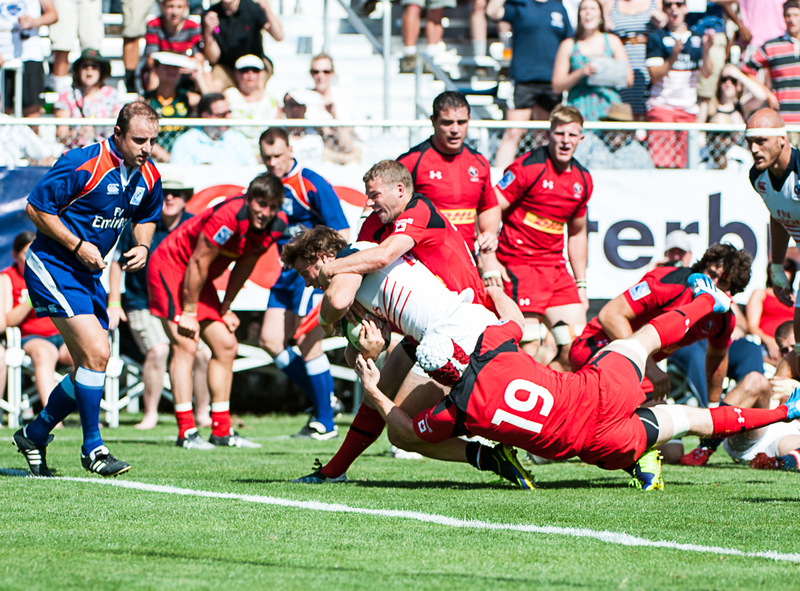 to Juneau to Kansas City there are smart, accomplished men and women who have a grounding in proper, safe, effective rugby tackling techniques. Everyone is concerned about concussions in football, and the rules changes being implemented will likely help drive concussion numbers down. But rugby coaches and players will be forgiven for sounding a little annoyed as they say: “we’ve been doing this stuff for years.” Because they have, and it might help football teams - high school, college, and pro - to open up their practices to their local rugby coaches … they might learn something. And we might realize that rugby and football will both be better off if the coaches work together.